Children in nursery and reception develop their early hand co-ordination skills through a variety of activities such as tracing, threading activities and pattern-making in sand, paint, shaving foam, chalk etc. Reception children are also taught handwriting more formally, practising the pre-cursive script on whiteboards and then paper. 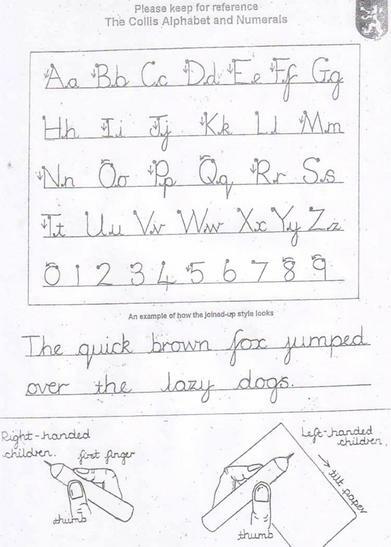 Handwriting and letter formation is explicitly taught in KS1 and KS2 where appropriate.